Find out about spectator sports in London. See football matches, rugby games and cricket matches at world-famous venues, from Wembley Stadium to Wimbledon. Whatever your sporting passion, we have tickets to some of the hottest sport events across the UK and worldwide. Whether you’re into football, tennis or golf, wrestling or racing we have a spectacular array of sport tickets to create that once in a lifetime break to remember. 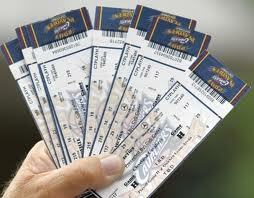 Our sport tickets provide an ideal gift for a friend or family member or just an exciting treat for yourself! Posted on September 27, 2012, in Chelsea FC, Football match, Grand Prix, Royal Ascott, Sport Tickets, Sporting Events, Stadium Tours. Bookmark the permalink. Leave a comment.